Be a part of the out crowd. 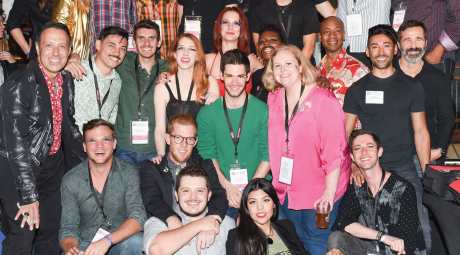 The Outfest Emerging Leaders Council, or ELC for short, is a voluntary group of under-30 professionals in film, television, the arts and business. The mission of the ELC is to generate youth awareness and participation in all of Outfest’s activities, and to provide a critical voice in the growth and development of the organization overall. Members of the Outfest Emerging Leaders Council are brand ambassadors, actively working to help Outfest create fundraising opportunities, secure Major Donors and develop future Board Members. Our efforts are intended to help foster professional development and leadership skills for the young professionals of the ELC and for the under-30 filmmakers, volunteers, attendees and participants in Outfest.